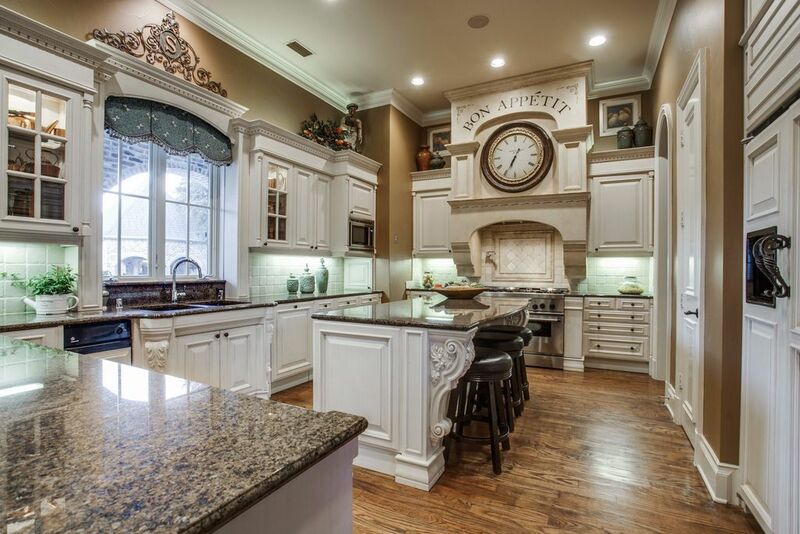 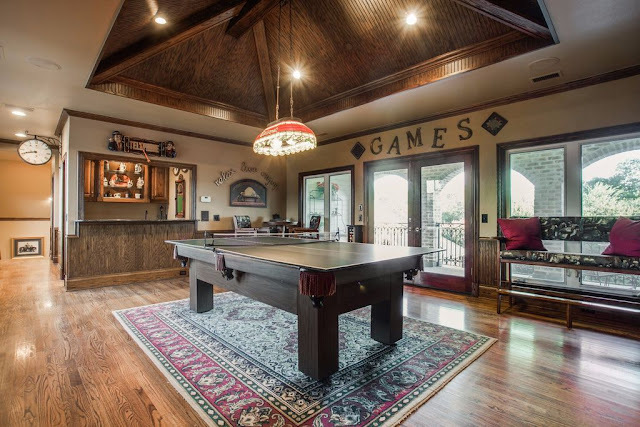 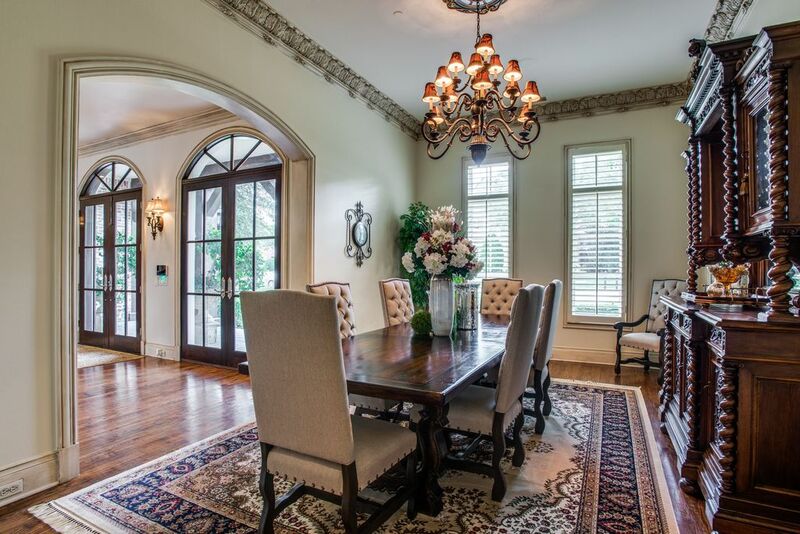 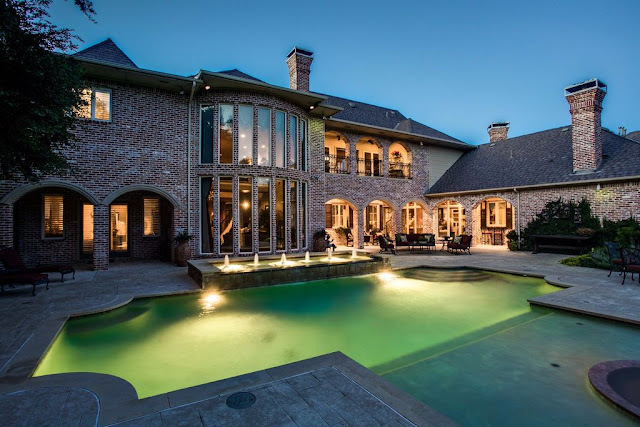 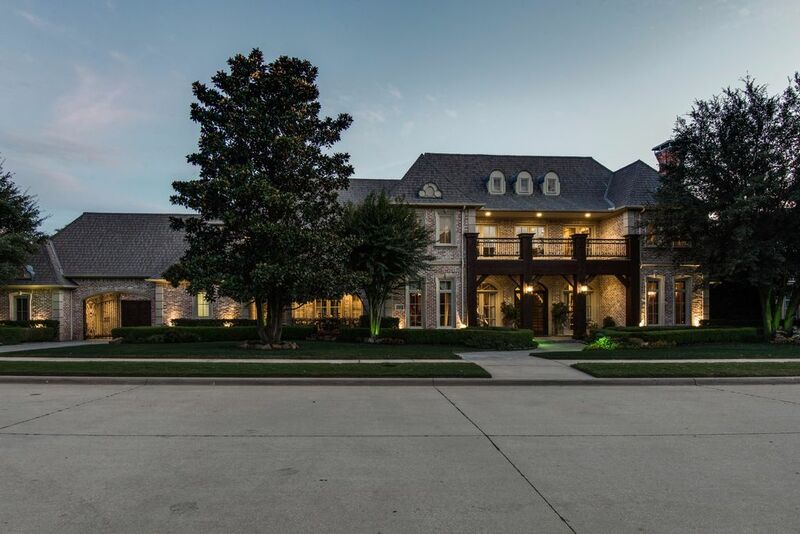 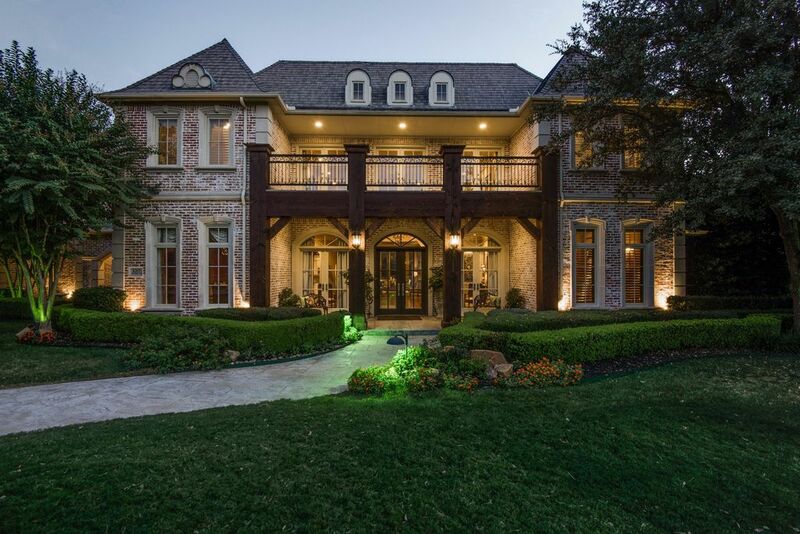 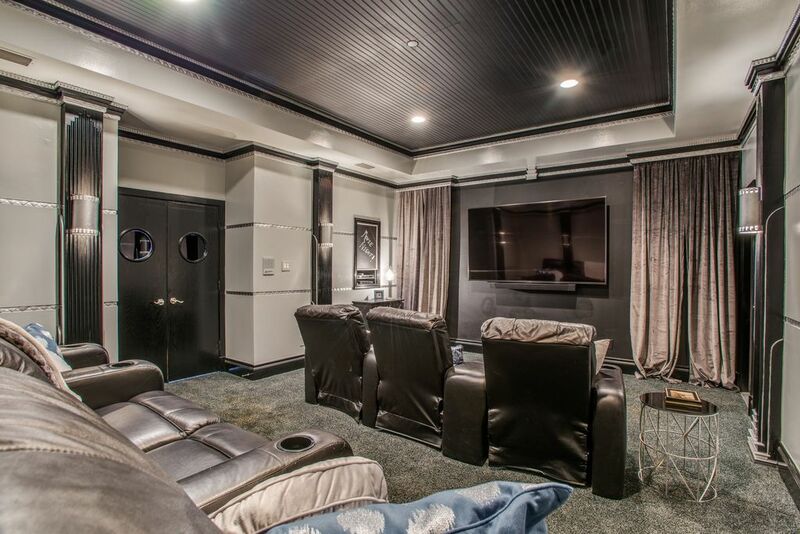 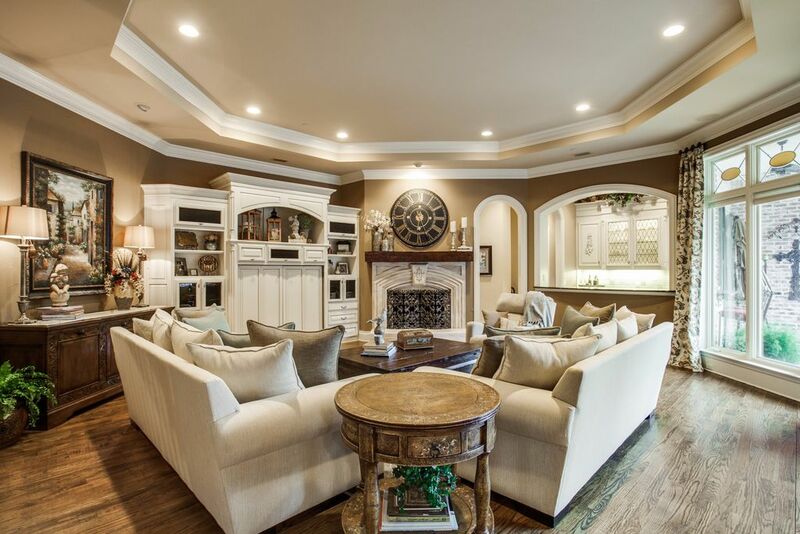 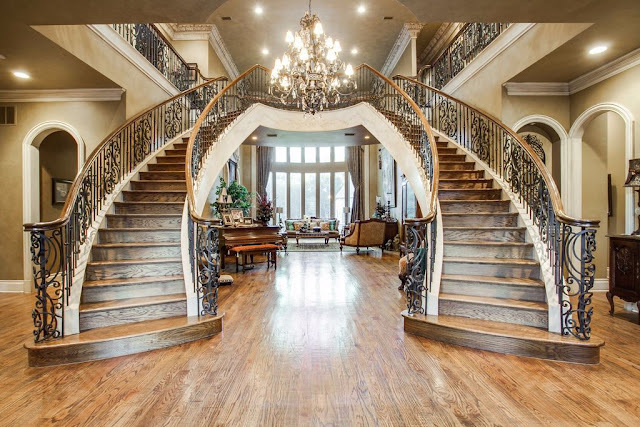 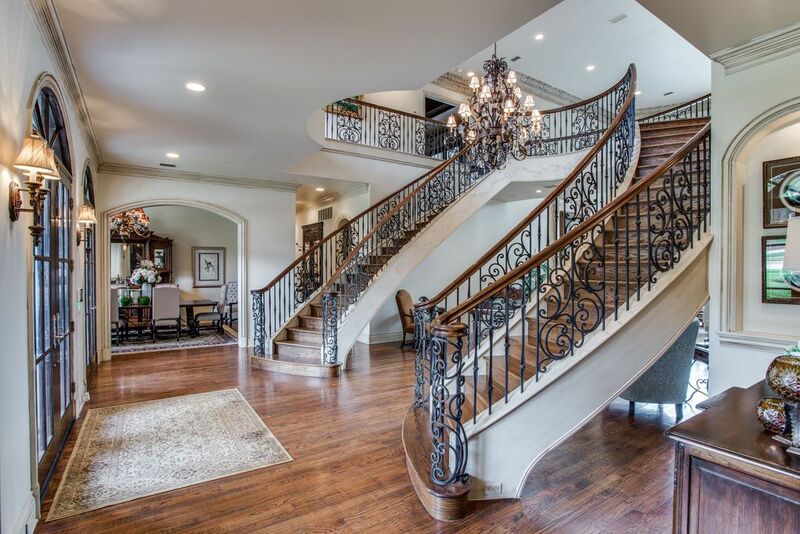 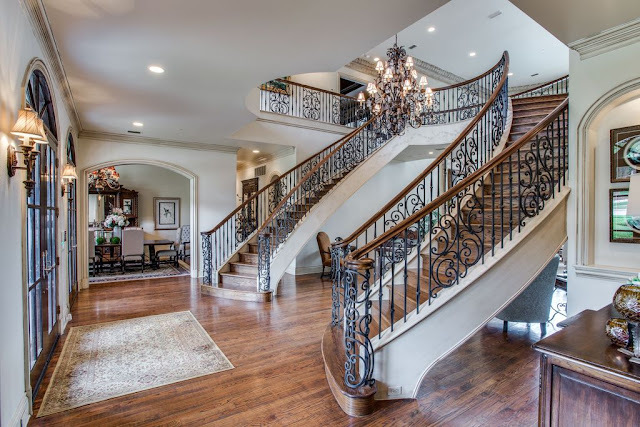 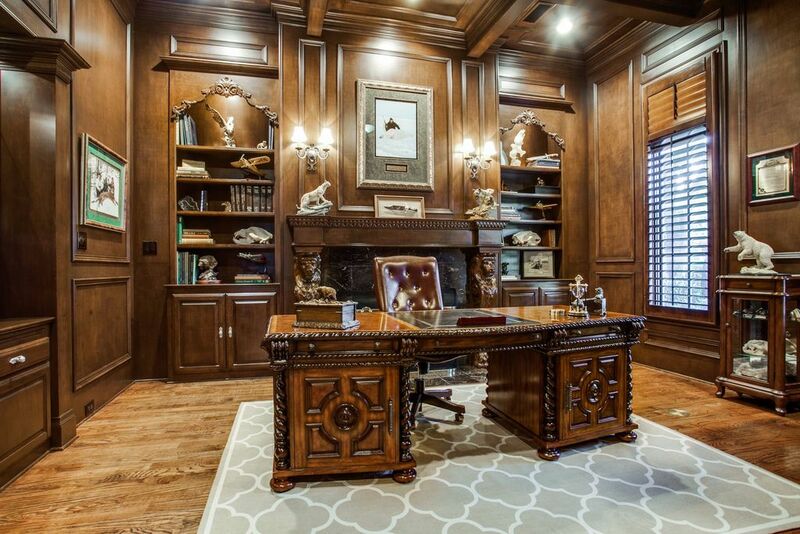 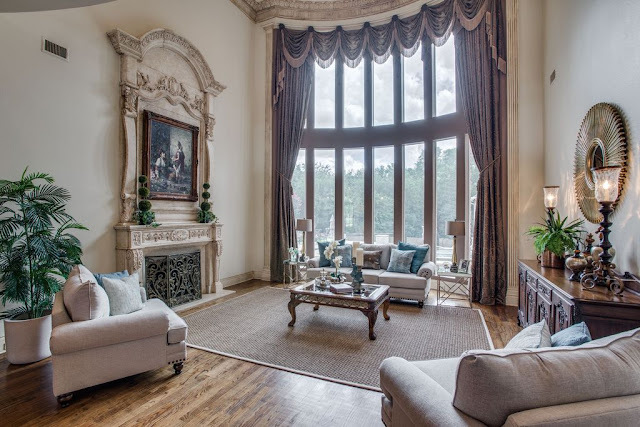 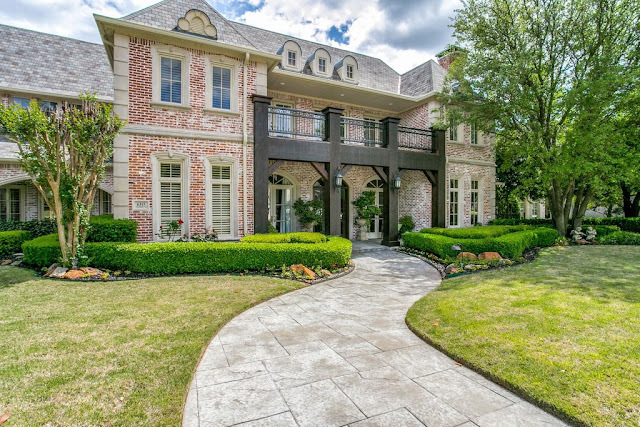 Built in 2001 and situated on 0.87 acres of heavily wooded land in Frisco, TX, this stately mansion in clad in brick and accented stone. 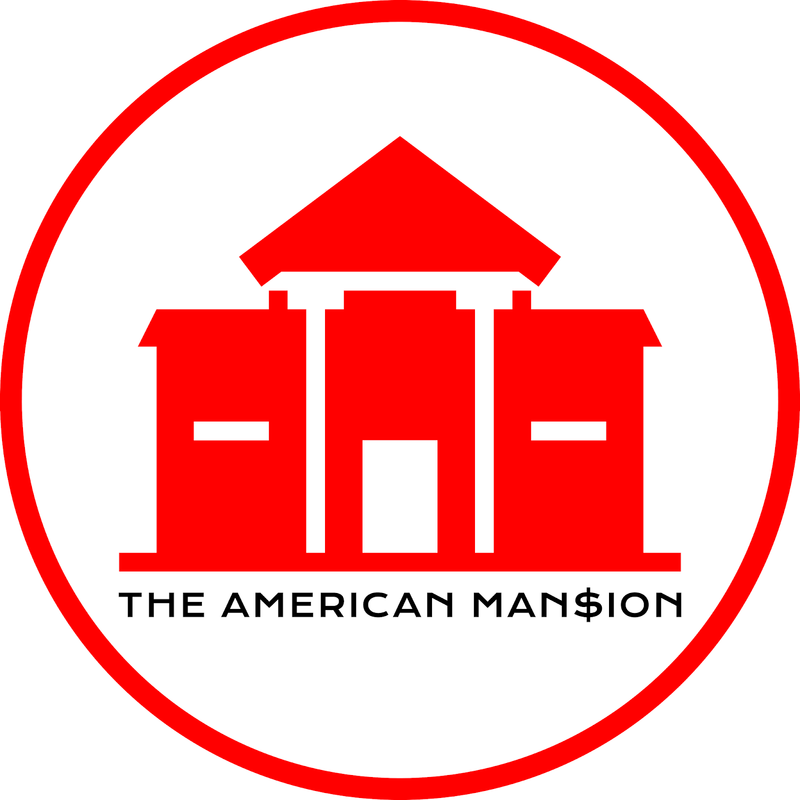 It features approximately 8,333 square feet of living space with six bedrooms, five full and four half bathrooms, two-story foyer with double floating staircase, two-story great room with fireplace, formal dining room, gourmet kitchen with island/breakfast bar, breakfast room, family room with fireplace and wet bar, paneled home office with fireplace, upper level game room with wet bar, home theater, and garage parking for four cars. 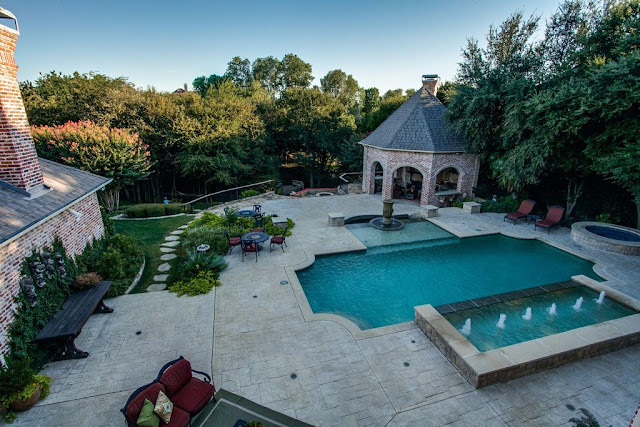 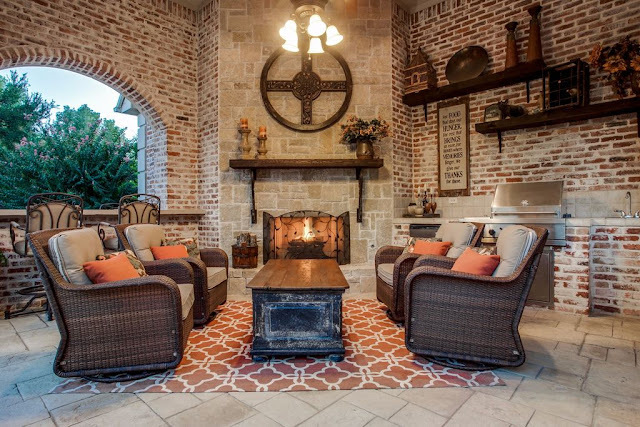 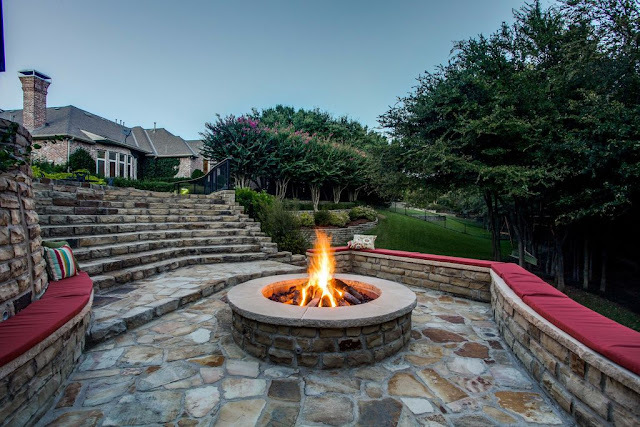 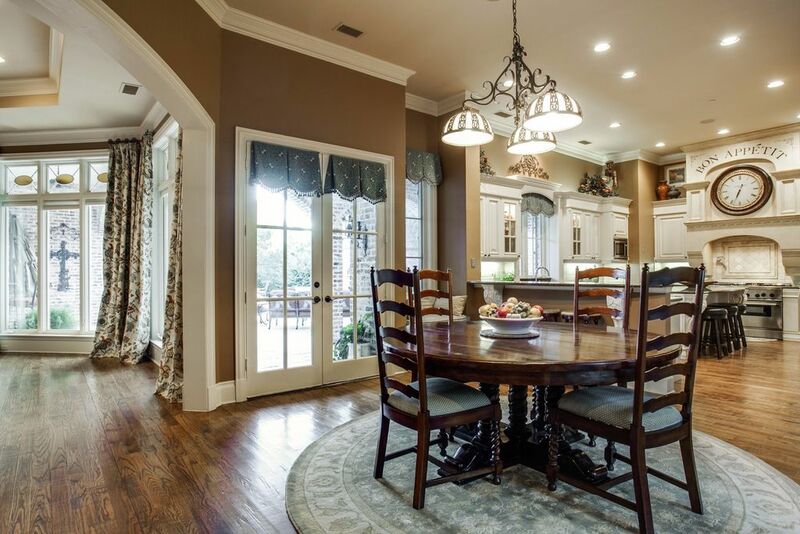 Outdoor features include a gated porte-cochere, motor court, covered front porch, rear covered porches, patio, pavilion with fireplace and BBQ, swimming pool with spa and fountain, and a lower stone terrace with fire pit.